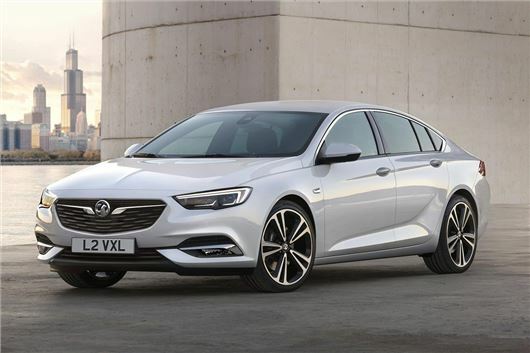 Vauxhall has announced the first details of its all-new Insignia, which is now known as the Insignia Grand Sport. It’s lighter and larger than the outgoing car and is set to come with new technologies including an eight-speed automatic transmission and active safety equipment. Hatchback versions will arrive in Summer 2017, with an estate variant coming later. Prices are to be confirmed, but are likely to be similar to the outgoing car, which costs from £18,000. The new platform and increased size mean rear legroom should rival more premium saloon cars like the Volvo S90, while lighter materials mean driving dynamics and fuel economy are likely to improve – although figures are yet to be announced. Details of the engine range will be confirmed later, but Vauxhall’s existing 1.6-litre and 2.0-litre diesels will be available. Most variants will be front-wheel drive, but there will be an all-wheel drive option, along with a new eight-speed automatic transmission. Vauxhall says the new Insignia will offer more “intelligent technologies” than any other car in its class. Full-LED headlights, a head-up display, adaptive cruise control, lane keep assistance and rear cross traffic alert will be available, although what will be standard remains to be seen. There will also be Android Auto and Apple CarPlay connectivity through the touchscreen system, as well as Vauxhall OnStar and onboard WiFi for up to seven devices. This looks like a really attractive car. The hatch makes it much more useful compared to the Passat and the Mazda 6.....both of which are 3 box saloons. Visually it is very attractive and fresh looking. The whole package seems to tick all the boxes. I'm sure it will be a winner for GM.....or should I say Peugeot these days.